The holiday season is here and we want to wish all our patients a happy holiday season. No matter what you celebrate at this time of year, be it a traditional Christmas, Hanukkah, Kwanzaa, Yule or Festivus, we want you to be safe and enjoy your family at this important time of year. #1 Be cautious of candy canes – Hard candy is tasty and readily available at the holidays from candy canes to peppermints, but it can crack your teeth if you bite down wrong. It may be better to let candies dissolve to prevent any chipping or other damage – but be sure to brush thoroughly after eating candy of any kind. #2 Stay clear of soda – Holiday parties are rife with soda and this sugary substance is never good for your teeth. Read more here. If you want something bubbly, try fizzy water rather than soda. If you must drink soda, use a straw to keep most of the acid off your teeth. #3 Watch the wine – If you like a nice red, be mindful of how this can stain your teeth. White wine is less of a risk to your white smile. If you do drink red, do so with food to mitigate how much of it gets on your teeth. Be sure to brush well if you do indulge in reds. 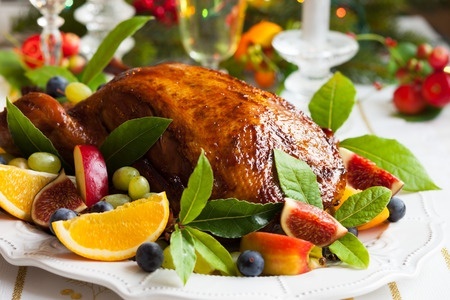 #4 Take more turkey – One holiday food that’s great for your chompers is turkey. It’s a great source of phosphorus and protein – both of which can help your body fight tooth decay and keep your teeth strong and healthy. #5 Stock your stockings well – Christmas stockings are often chock full of sugary treats that can cause your kids to get cavities. Instead, consider eliminating candy altogether or stick to one sweet item. Also consider giving them a cool new toothbrushas part of their holiday loot. #6 Dip into veggies – At holiday events, skip the trays of Christmas cookies and brownies and instead fill your plate with veggies. Broccoli and carrots are great treats for your teeth because they’re loaded with Vitamin A which strengthens your enamel. 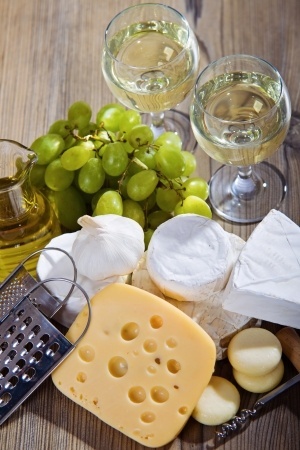 #7 Chomp on cheese – Choose cheese to snack with if you’re drinking alcoholic drinks at parties. The pH balancing effects help neutralize the acid that’s in boozy beverages and the calcium is great for your tooth health as well. #8 Carol while you clean – Optimal tooth brushing last about two minutes so if you hum a few verses and choruses of your favorite holiday song while you brush, you’ll likely brush long enough to clean up your teeth and gums (be sure to brush your tongue too). #9 Don’t use your teeth as a tool – The holidays come with packages to open, tape to apply to presents and loads of other things you may be tempted to break open or cut with your teeth. Don’t do it! Using your teeth as a tool can cause chips and breaks. #10 Fill up on fruit – Instead of piling on sugary desserts at your holiday meal, turn to fruit instead. If you’re having a big dinner or party, rather than prepping a number of cakes and pies, try sticking to one sweet dessert and then prep a big fruit plate to satisfy your sweet tooth. 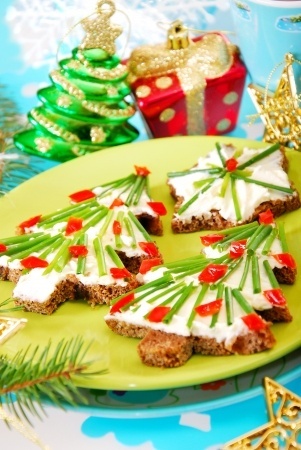 #11 Forego the grazing – At the holidays, we often have spreads of food left out all the time. Grazing all day can put your teeth at greater risk for decay. Instead of leaving out things to nosh on, only put out food at mealtimes and then stash the food away. #12 Make the holiday meaningful – We often structure our holiday events around food, but this is good for your teeth or your waistline. To take the focus off of food, set up activities like board and card games, craft projects or holiday movie marathons. Our entire team hopes you have a safe, happy and healthy holiday and we can’t wait to see your bright smile in the coming New Year.